On 29 April an I-Sign project strategic meeting was attended by consortium members from Signature, Action on Hearing Loss, UCLan, NDCS, Exeter Royal Academy for Deaf Children, the BDA and NatSIP. 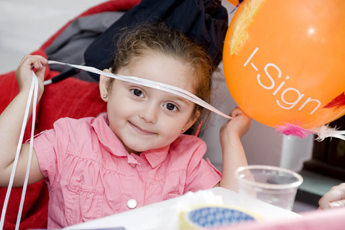 The I-Sign project is a joint enterprise between leading deaf sector organisations and higher educational institutions. The aim of the project is to put in place British Sign Language infrastructure throughout the UK to improve the everyday communication experience of deaf people. At the April meeting the consortiums priorities for the next 2 years were outlined, a roadmap for change was planned and the existing partnership between the consortium members was cemented. Find out more about the I-Sign project and look out for updates on our Projects and Partnerships page.